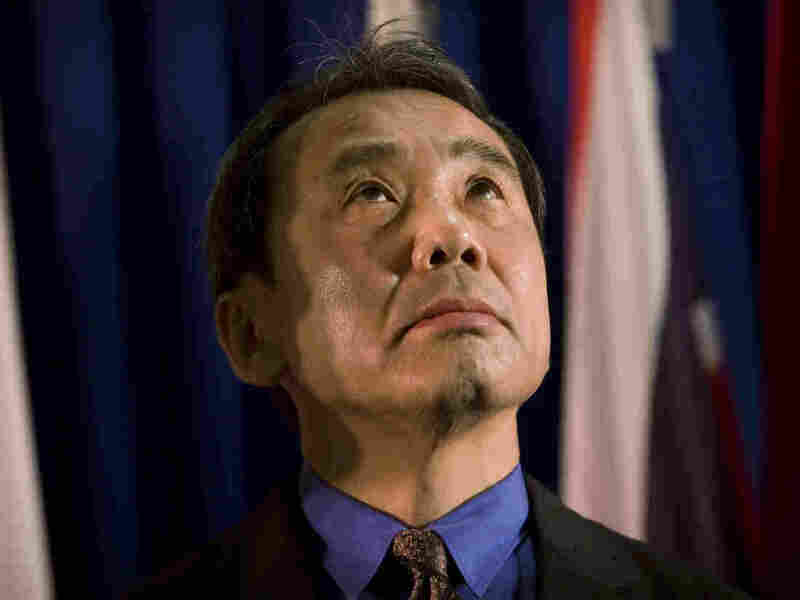 In a rare public appearance, Japanese novelist Haruki Murakami receives the Jerusalem Award during the International Book Fair in Jerusalem in 2009. For the past two weeks, in a little corner of the Internet, renowned but reclusive Japanese writer Haruki Murakami has been fielding questions from his fans. The best-selling author of works such as The Wind-Up Bird Chronicle, Norwegian Wood and 1Q84 rarely gives interviews, which is why his fans were so excited about Mr. Murakami’s Place. The website is part advice column, part author Q&A. Murakami told readers they could ask about any subject — but he did note that he was particularly interested in cats and Japanese baseball. Topics range from the serious to the absurd. Some asked about Murakami’s books, others sought relationship advice. One wanted to know where to find the best cup of coffee. The site is mostly in Japanese, though Murakami has been accepting — and answering — questions in other languages. He isn’t taking any more questions, but will continue to post new entries for several more weeks. Patrick Caddeau, an expert on Japanese literature at Princeton University, says he wasn’t surprised to see the author interacting with fans this way. “His writing style is very much about asking questions and engaging with the world,” Caddeau says. Anna Elliott, head of Boston University’s Japanese language program, has translated many of Murakami’s books. One such fan is Mary Taylor, a librarian in California. When her father was ill, she spent a lot of time taking care of him and listening to his stories. “One of the things that we did when he was in hospice was I would feed the stray cats in the neighborhood and he could watch them from the window,” Taylor says. Her father would often talk about a cat he had when he was young. On the day that her father passed away, a new cat turned up for the first time. She asked a family member to describe the cat her father had as a boy and wasn’t surprised to learn that it was similar to this one. “It seemed like a kind of very Murakami-esque experience to have,” she says. Murakami hasn’t written back to Mary yet, but she isn’t the only one to ask the author to help her make sense of magic in the world, and in his writing. This entry was posted on 火曜日, 2月 3rd, 2015 at 1:51 AM and is filed under Japanese Language. You can follow any responses to this entry through the RSS 2.0 feed. You can leave a response, or trackback from your own site.